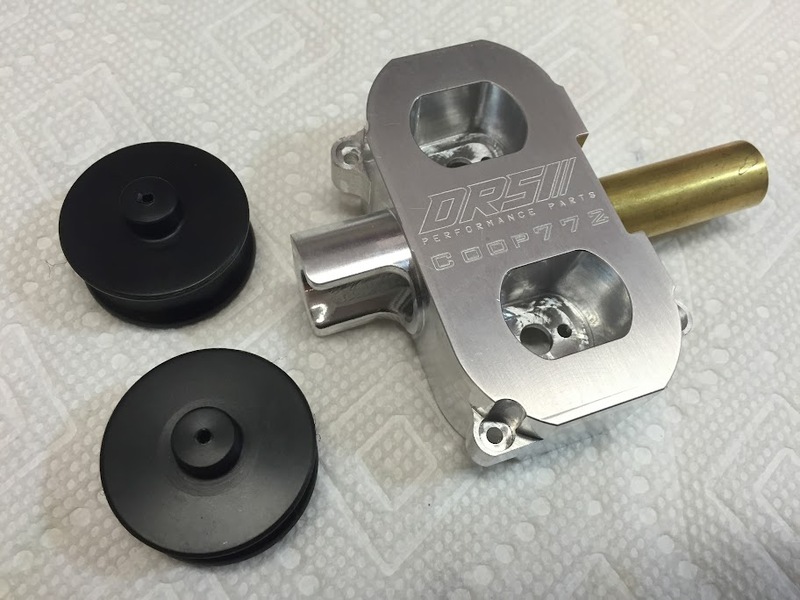 This product is an aftermarket flywheel cage and flywheels that is an upgrade from the factory setup. I'd love to post a hyperlink to a webstore, but these items are only sold directly through the maker, Dr. Snikkas. You can email him at DrSnikkas@gmx.de to arrange a sale or to inquire about product details. He is German but his English is fantastic so I had no problems with communication through email. The flywheel housing I bought is sized specifically for the Nerf Stryfe. It's a drop-in part that doesn't require shell modification to fit by itself (longer motors like 180 motors will still require the usual shell modifications). 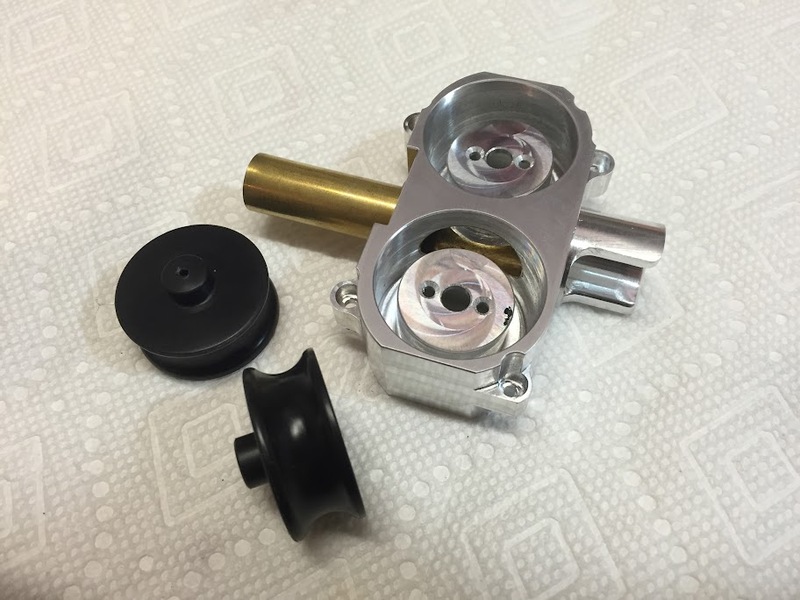 This product is great because of a few improvements to the original flywheel design that are implemented. First, the flywheels are intentionally offset in order to 'spiral' the Nerf darts out of the barrel. This increases flight stability in Elite darts. The flywheels themselves also have a curved contact patch compared to the Nerf flywheels flat face. This increases the contact surface area between the flywheels and the Nerf darts. 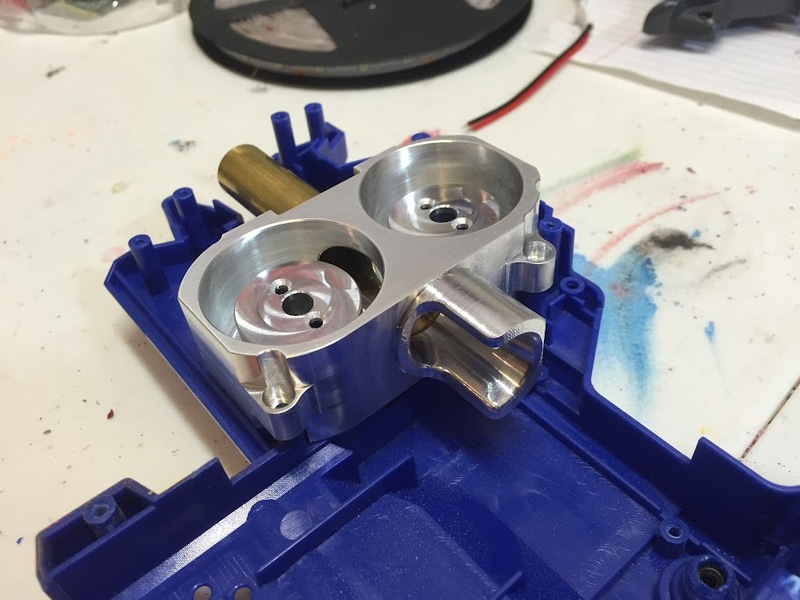 I also noticed far less vibration in the blaster when revving at a high RPM, which I attribute to the secure motor mount design and nature of metal compared to plastic. The engraving is super clean. My housing also has 'Coop772' engraved! The flywheel cage uses two screws to hold in each motor. 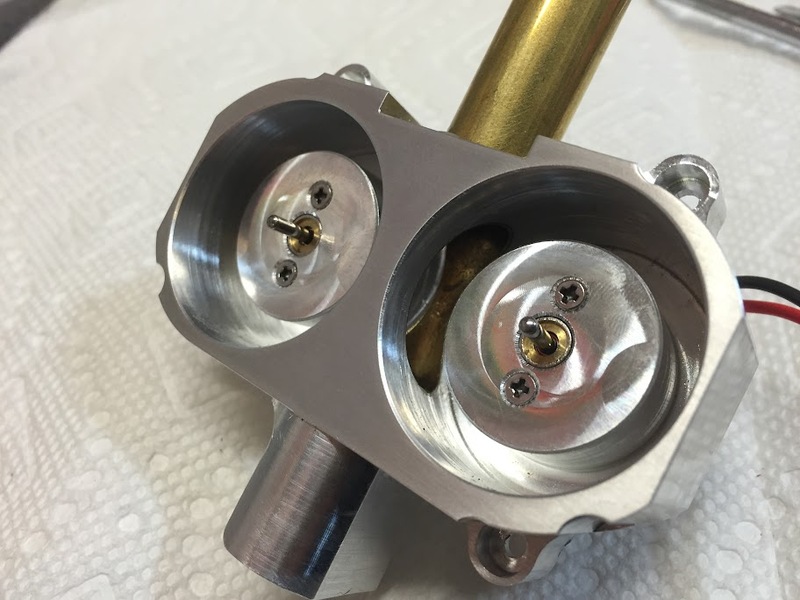 Make sure your upgraded motors have these screw ports to install them properly. Groupings Test - This test compares the size of the groupings to compare accuracy. A small grouping leads to better accuracy. I used normal Elite darts along with Koosh darts. Chronograph Test - This test compares the initial velocities between the options. I wasn't only curious about the maximum velocity; the range/variation is also important. A smaller velocity variation leads to more consistent range. I used three blasters in my testing. I did not change out each individual variable for these tests to check different motor RPM, motors, wiring, etc. - I just wanted to compare the new metal FWC to other options. I was not measuring the quick firing groupings or anything that would give the other modifications (LiPo, wiring, etc.) an advantage. Stock Stryfe: Unmodified Stryfe running on four AA alkaline batteries. Modified Stryfe: Stock motors, electronic and mechanical locks removed, thermistor removed, running on three 14500 IMRs with a dummy battery in the factory battery tray. Metal FWC (FWC standing for flywheel cage): This title refers to a Stryfe project that is using this flywheel cage. 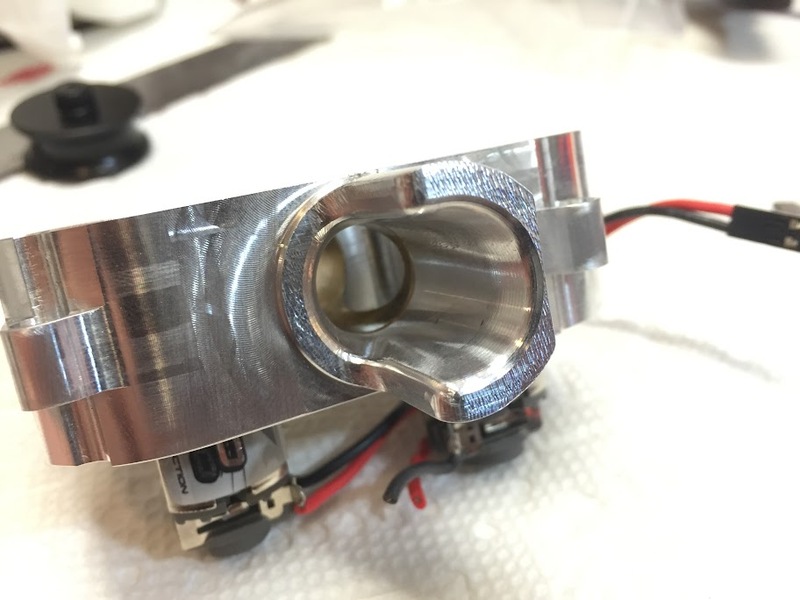 Along with the DRS flywheel cage and flywheels, it has low resistance wiring, a high-flow rev switch, deans battery connector, and was run on a 2s LiPo battery. I did not measure the exact firing distance, but it was around 25-30 feet. 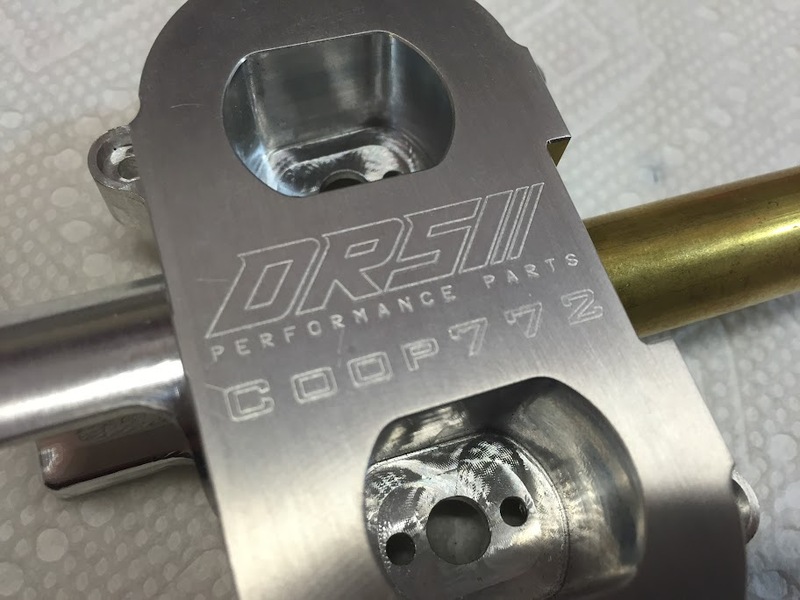 - The DRS Performance Parts metal flywheel cage clearly increases accuracy. There are more darts landing closer to the point of aim and fewer outliers that fly way off target. I did not get any footage of firing beyond this range, but this improvement is actually more drastic as you increase the firing distance. The Elite darts don't seem to want to veer way off course as often, which is a great improvement. - I assume the tighter groupings are caused by the spiraling effect generated by the offset flywheel angle. Generally an item that has a spiraling motion is more stable, so a more predictable/consistent flight path can be expected. - Srsly - just look at those Koosh groupings. I mean look at them. Dayyyuummmmmm! The modified Stryfe shows lower velocities compared to previous testing on the same blaster. The batteries were not fully charged. "Wahhh Coop, this isn't fair - you're not testing the best of the best!" Oh shut up hypothetical viewer, the chrono testing was really just to put the grouping tests into perspective. Since both Stryfes had very similar groupings, I don't think that 5-10fps loss from the batteries being flat is a big deal. The LiPo in the metal FWC Stryfe was fully charged. I'm personally really happy with the results. I'm experiencing a little bit of dart slippage at a comparable velocity which is why the FPS range on the metal FWC is larger, but the groupings are still great. 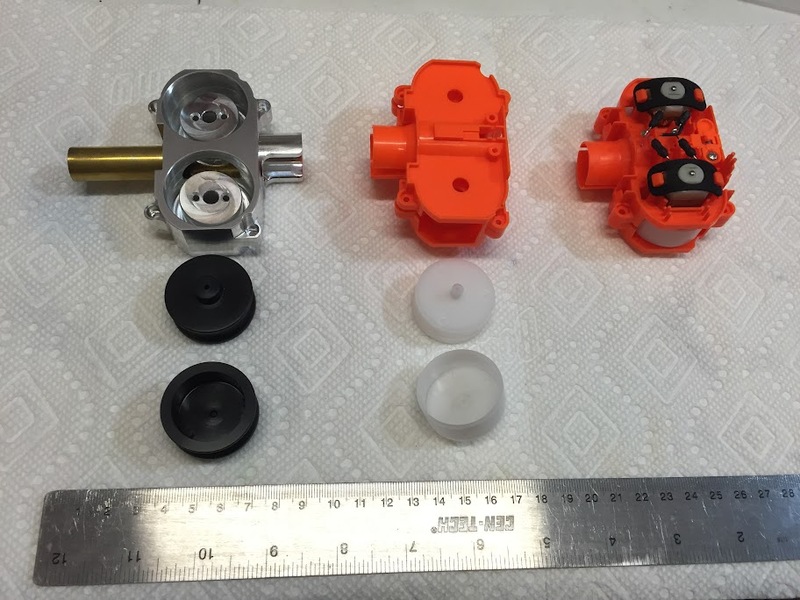 I would not hesitate to recommend this kit to flywheel users that want the absolute best performance possible out of their flywheel blasters. The rate of return of certain modifications should definitely be respected and taken into consideration with a product like this. The stock Stryfe shoots ~65fps and groups like crap. Putting down $20 to buy Ultrafires and to do a few quick mods can boost you to the same groupings but with 110-120fps leading to better range. When you're talking about LiPo batteries, new wiring, new motors, and now this flywheel cage, you cannot expect the same rate of return as that first $20 investment. Spending 5x the money will not yield 5x the performance. If you fully understand and respect this fact and still want to put down the money to have the best performance possible, I would definitely recommend this upgraded flywheel cage.